You may have thought long and hard about a great business idea and put together a website to get it up and running and the processes that are involved to generate revenue. But have you thought about your branding? Have you thought about your business identity and how your customers perceive you or identify with your products? These questions generally fall under branding. Part of your brand is your logo. Your logo should be well thought out and should represent your business and what it does with its design and colors. You logo should be on everything that you do from your letterhead and envelopes to your sign and business cards. In short it allows others to identify you from your competitors. By having your logo on your products allows your customers and potential clients to build awareness of your company. They start to become comfortable with you as they associate your brand with what you represent. 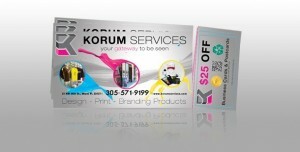 Our in house designers at Korum Services will sit down with you and develop a visual image for your company. If you already have a logo that may not be working for you we can tweak it and change it to make it exactly what you may need for your growing business. Remember in the end you should be happy with your logo. It should represent your company and should be scalable to fit on business cards as well as large signs. It should be on everything that is associated with your business and will allow your customers to have brand recognition with your company. Silk business cards are a very new technology that many people have not even heard of. The feel and touch of these cards are unlike any other and cannot be easily explained. They have the look of a full color business card that has been laminated but they feel silky smooth to the touch. The beauty of silk cards is that they are almost indestructible! They are water resistant, do not tear or rip easily and can be written on if you need to make a note or write down a number. Silk business cards are easily the sign that you are ready to take your business to the next level. 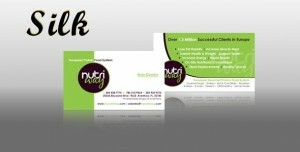 Silk business cards look very elegant and are more likely to impress potential clients and customers. The reason for this is that a heavy card stock is used for the process. This combined with a silk or satin laminate produces a thick durable card. The cards are then cut using a die-cutting machine to your specified dimensions. Once the design is finalized and printed to the specific color specifications, the silk coating is then applied. Other enhancements can be made to the cards, for example, gloss UV coating in various places. Tear off cards are an underutilized marketing material that some businesses are unfamiliar with. So what is a tear off card? This is similar to an elongated postcard which has a piece the size of a business card that a client may tear off while retaining the larger card. There are many different uses for tear off cards. Today some businesses use them for promotions such as coupons where a client can tear off a coupon and present it when they would like to use the discount. They can then keep the postcard and retain your contact information should they need it in the future. Tear off cards can be used by schools or organizations who run raffles for fundraising efforts. The purchases would keep one side of the tear off and the other side would go into the raffle. These options are to name just a few. It is possible to reverse the promotion where the tear off is a business card that the client keeps and the larger postcard is taken to an event or is used to gain entry to a party for example. This is a good way to separate your business cards from other businesses and set yourself apart from others. When a client has to tear your business card off from a perforation it is more likely that they will hold on to your card. As with postcards. Tear off cards have all the same options, and can come in unlimited colors and coatings. The smaller tear off portion usually has smaller font so that it can retain all the information that may be printed on the larger post card. At Korum Services we are able to create tear off door hangers which work in the same way as tear off cards so if you feel that tear off cards may be an option you may want to look at door hangers too. Please give us a call at 241.74.12.80 so we can discuss the options that are available to you. Don’t over look those presentation folders! 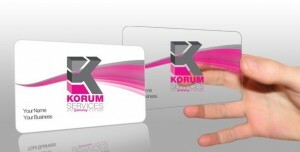 As we always say at Korum Services, branding is everything. 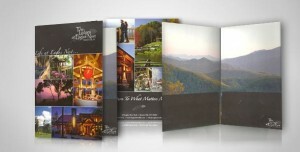 A presentation folder is an essential marketing tool that should not be overlooked. If you give clients any sort of documents that they need to keep, for example, for a business presentation to attract a new client, for a real estate closing or legal documents. The perfect accompaniment for your business would be to present these documents in a presentation folder . This folder should have your logo and your branding that give it a real professional touch. Presentation folders come in different sizes and can fit the specific industry that you may need them for. Legal size folders for larger documents, as well as large capacity folders or three panel folders. All these different combinations can be printed in different colors as well as different finishes to help you look professional and attract more clients. Presentation folders have many uses in other industries such as the hotel and service industry to detail the amenities that may be available for functions. A presentation folder can be used for a school prospectus or an open house at a university or college. Whichever industry that you decide to use a presentation folder for, it is an easy way for potential clients and customers to store the information that you have given them in an easily accessible way. A client is more likely to keep a presentation folder as it allows them to store their documents in an organized manner as well as protecting those documents from damage. A client stores their documents in a presentation folder that has your contact information on it, this is an easy way for your clients to retain your information should they need it at a later date. Our in house design team at Korum Services can show you all the options that you may have to create the perfect custom presentation folder for your business whether this is the perfect color that fits into your brand or the placement of your logo. 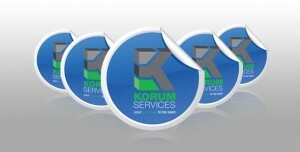 At Korum Services we print a large array of custom stickers for our clients. You might wonder what you would use custom stickers for. In fact they are another marketing tool that can be used to promote your business quickly and effectively, getting your brand visually seen in many places that you may otherwise over look. How many times have you seen the Apple logo prominently displayed on a car. You assume that this person probably owns an Apple computer and the sticker came free with the computer, but other than that the relationship stops there. This is still advertising on Apples part and it is free advertising! All of the people driving around with these stickers are not being paid by Apple, but Apple is smart enough to market their brand every time you see the Apple sticker for free. Imagine if you sent or gave stickers to your clients with their order or service. Maybe they would put one of them on the back of their car, or at their work place, store front window, or on a door. The exposure is what every business needs and every opportunity should be taken advantage of. Our stickers at Korum Services are UV coated therefore making it easier for them to withstand the elements and last longer if they were to be placed outside. They come in round, oval and rectangular shapes and in all different sizes. Of course there are many different color options for your design. One of our design consultants at Korum Services would be happy to explain the different variations to you. Stickers can be used at events as part of the promotional ‘swag’, at campaigns to promote candidates, window decals and of course any sort of promotional marketing. Stickers can be put anywhere, and come in any size and shape which of course makes the possibilities endless. 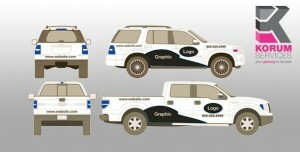 Car wraps are the latest advertising media that is used today to get your brand and business seen. Custom vehicle wrapping can be in any size, color or shape that suits your business. A car wrap can partially cover a vehicle or cover the entire vehicle with your logo and design. The initial wrap is printed in vinyl so that it can easily be removed from your vehicle when needed. It can cover your car windows to give you a total uniform look while still giving you the ability to look and see through the glass. If you use vehicles for your business or even a vehicle for your transportation to and from your business it makes sense to combine your transportation into your advertising media. Once you have paid for the initial cost for the vehicle wrap you have the possibility of attracting thousands of impressions (people who see your ad ) each day, everyday for approximately three to five years. This is the usual amount of time that a car wrap can last for. This is a great return on investment. Don’t worry if you decide that you need to change your telephone number or something else on your car wrap, we can easily make a change that doesn’t involve removing the whole wrap so your business can run smoothly. The beauty of a car wrap is that it is not permanently affixed to your vehicle. If you decide at any point you would like to change your car wrap you have the ability to remove your wrap and either create a new wrap or completely remove the wrap altogether without damaging the paint on your vehicle. With a vehicle wrap it doesn’t make a difference what color or shape your vehicle is, Korum Services can wrap all types of vehicles, trailers and even boats and buses. What’s a Restaurant Without a Printed Restaurant Menu! You know it. There have been many times when you may go to a restaurant to get something to eat only to find the menu is up on the wall, literally written in chalk or black lettering all over one of the walls. It can be really confusing and over whelming and you wonder, why didn’t they just get printed menus? While this may be the exception and not the rule, printed restaurant menus are really a form of expression. They can take on a life of themselves and are a brand of the business and what it represents. You can have the printed menu change from season to season or it can stay the same through out the year. The card stock and the type of finish that you use should be thought about when you design your menu. It should be durable to be able to withstand food and beverage spillage as well as continuous wear and tear of being passed though multiple hands of customers and staff. 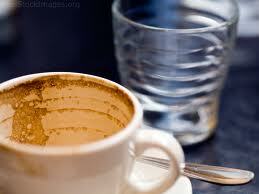 Your restaurant can offer different types of menus depending on the service. Printed takeout menus might be of a lighter regular copy paper. Some patrons may take these menus with them to store at home ready for when they next order from your establishment. Some of these menus may be put into take out bags and get thrown away by mistake. These types of situations should all be factored into the cost of the printed menus. Seating menus as previously stated need to be durable and should be printed on heavy duty stock with a gloss finish. As these menus will stay within the establishment, more should be spent on making sure the menus are durable and stay looking clean and sharp for the time that you need them. There is nothing worse than looking at a menu that is dog-eared and dirty. If you already have a design or logo for your restaurant, our staff at Korum Services understands how to put your menu together so that it works for you and your business. If you are unsure of which direction you should follow, our in house designers will be more than happy to sit down with you and explain what options would help your restaurant. Remember your menu layout, design and look is a direct representation of your brand. Customers view it before they even eat your food so much thought should be taken in the design process so that you are happy with the outcome. Are you trying to promote that hot club or latest new place to go in town? A simple, low cost way to do this is by using flyers. Korum Services has the best deals in town to get your flyers printed so you can promote your venue quickly and effectively. Don’t only think about flyers only for a club promotionbut tickets for entry, invitations, passes and even souvenirs if your clubber has a great time! Flyers are an advertising tool not only for clubs but other types of business that may be having a great sale or special offer that needs to be promoted efficiently and economically. All of our flyers can be printed on high quality, thick card stock that is tough enough to be used for flyers and is durable enough to be passed from hand to hand. The flyers can be further coated with an aqueous coating to make sure that your flyers are protected and intensify the colors of your design so your flyer stands out above your competitors. 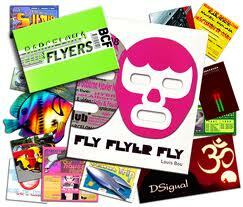 This type of card stock for your flyer can be UV gloss, shiny gloss or an ultra modern matte coating. We can ensure that your product is perfect and your images are super sharp with the high resolution necessary. If you would prefer, you can forgo the coating and use recycled stock, this type of flyer doesn’t have any coating and is used for various purposes, for example, if you need flyers that are writable as well as convey a message of being eco-friendly. And don’t forget, all these types of flyers can be two sided and use a combination all of the coatings that we have mentioned above. If you need help designing your flyer our friendly staff at Korum Services will be happy to help so give us a call at (305) 571-9199 so we can discuss your options. When you make a decision to order business cards or postcards, you have several options that are available to you when it comes to the finishes for these products. You can choose a matte finish which is the traditional finish that is used on a business card type or a glossy UV coatingfor your cards. A UV coating gives a polished, shiny finish to your advertising. The cards tend to be slightly thicker and because of the coating the colors on the card are intensified. This allows the card to look very edgy if you want to stand out from a crowd. A matte finish is clean with a smooth professional finish that is ideal for a corporate environment. You don’t have to choose one or the other you can choose both! This is called a spot UV finish. You can pick a UV finish for the front of your card and a matte finish for the back. In this instance, the matte finish on the back of the card it makes it easy for you write down notes, appointments or phone numbers. The front of the card containing the UV finish still looks sleek. You can also pick certain areas that have the UV finish, the combinations can be endless. Just speak to one of our friendly associates at Korum Services who will be able to advise you on your best options to suit your needs.